ADYA, an authentic Indian restaurant that is a reflection of modern India and revolves around fresh, sustainable ingredients, is set to open its second Orange County location in Spring 2016 in Irvine’s University Center (4213 Campus Drive). 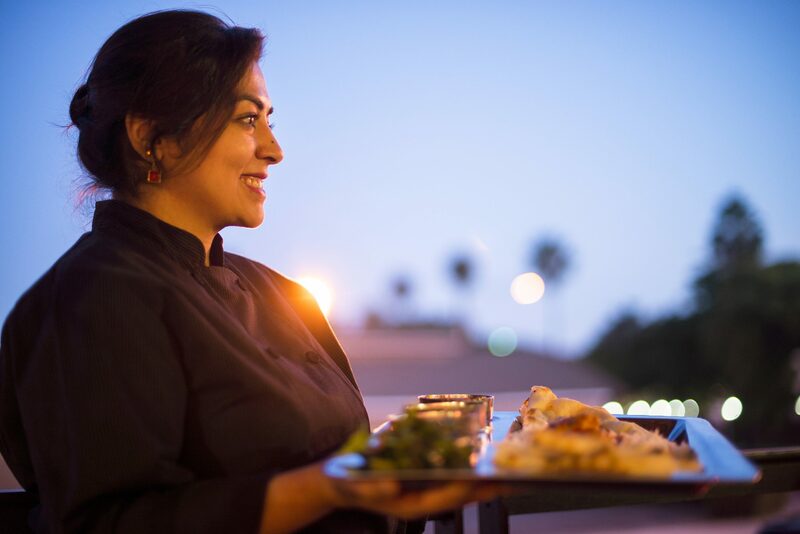 Chef/Owner Shachi Mehra, who opened her first location in the Anaheim Packing District in 2014, focuses her menu on contemporary interpretations of Indian street foods, tandoori specialties and rich curries. The menu combines modern creative and classic Indian styles of cooking, while balancing the bounty of Southern California with the bold flavors and spices of India. Menu favorites include Samosas, Chicken Tikka and Tandoori Shrimp, and also showcase Chef Shachi’s unique spin on the cuisine with dishes such as Watermelon Chaat with fennel, diced red onion, mint and lime vinaigrette, and a warm Naan, stuffed with goat cheese. At the heart of the menu will be Kebabs from the tandoor, Kaathi Rolls (wraps filled with potatoes, paneer, shrimp, chicken or lamb), and fresh-made Curries. A lesser-seen Indian specialty that Chef Shachi will focus on is Pavs, which are Bombay-style Sloppy Joes, that will feature spiced vegetables, chicken or lamb on butter-toasted buns. ADYA will offer a selection of desserts and the drink selection will be true to its Indian roots, with selections such as fresh lime soda, mango lassi, and classic Masala Chai. ADYA Irvine is set to open in late spring 2016 and will be located at the University Center (4213 Campus Drive in the University Center, next to Peet’s Coffee). ADYA Anaheim is open seven days a week and is located at the Anaheim Packing District (440 S. Anaheim Blvd #201; upper level, across from the main entrance). For more information, please visit http://www.adyaoc.com.